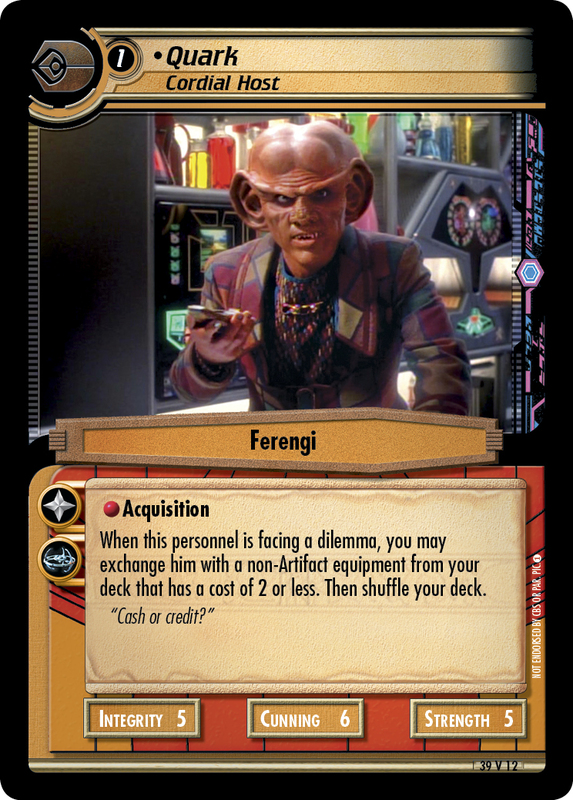 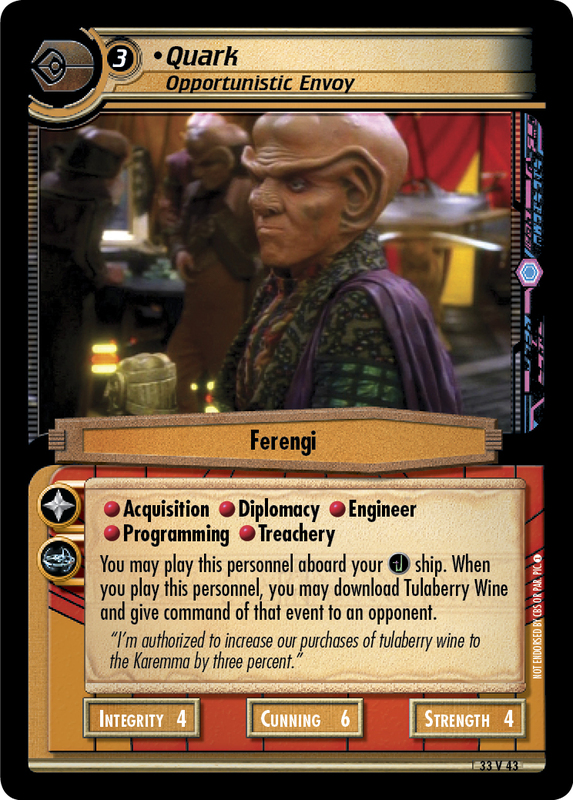 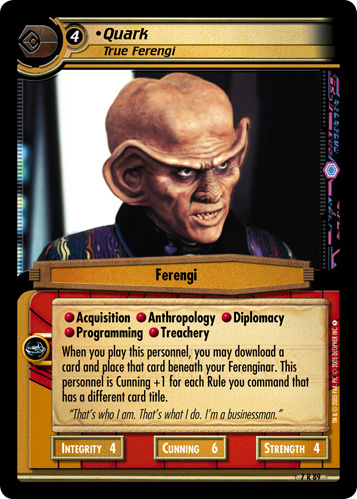 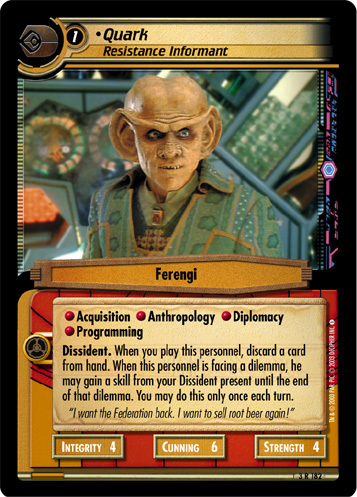 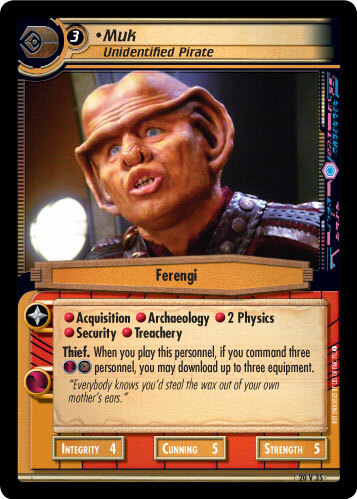 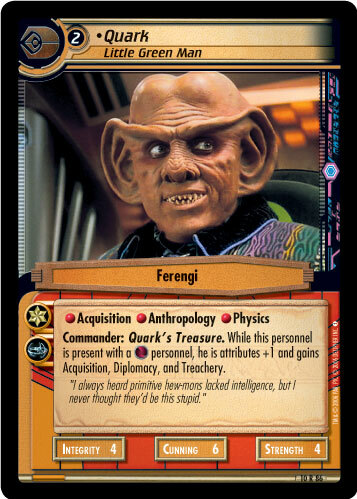 When you play this personnel, you may download an Assault, Maneuver, or a card and place that card beneath your Ferenginar. 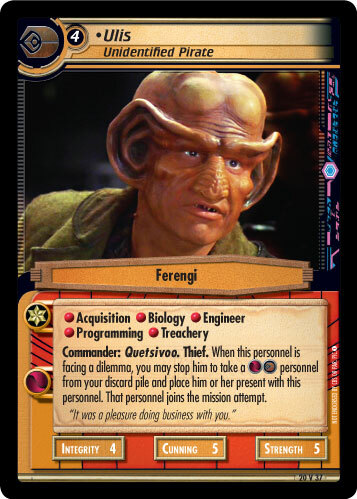 When you play this personnel, if an opponent commands a Maneuver event, he is cost -2. 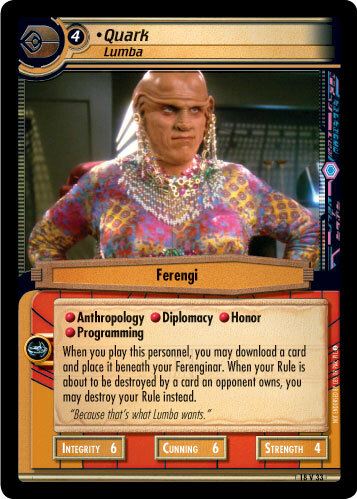 "No, you don't understand. 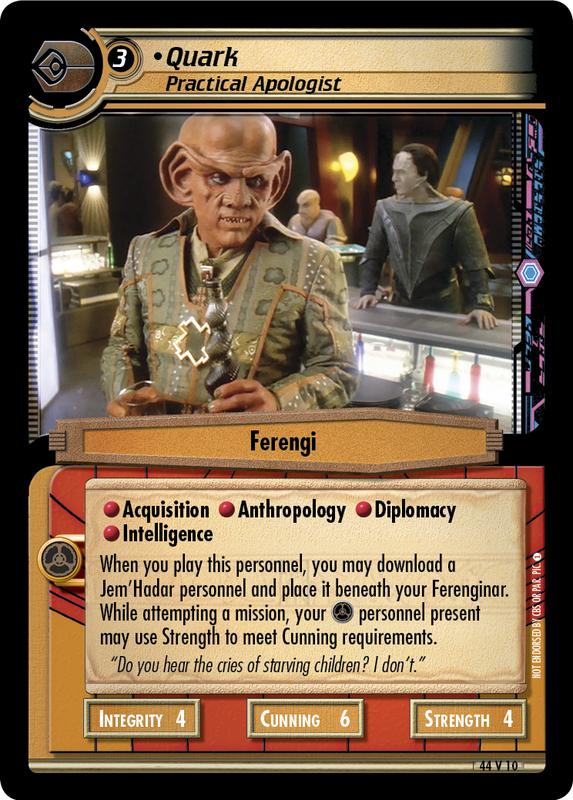 I can't stay here ... 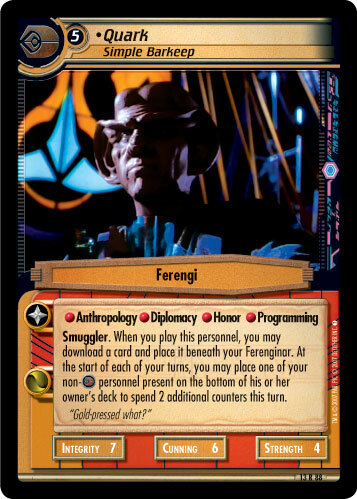 I'll pay anyone five bars of gold press latinum for a seat. 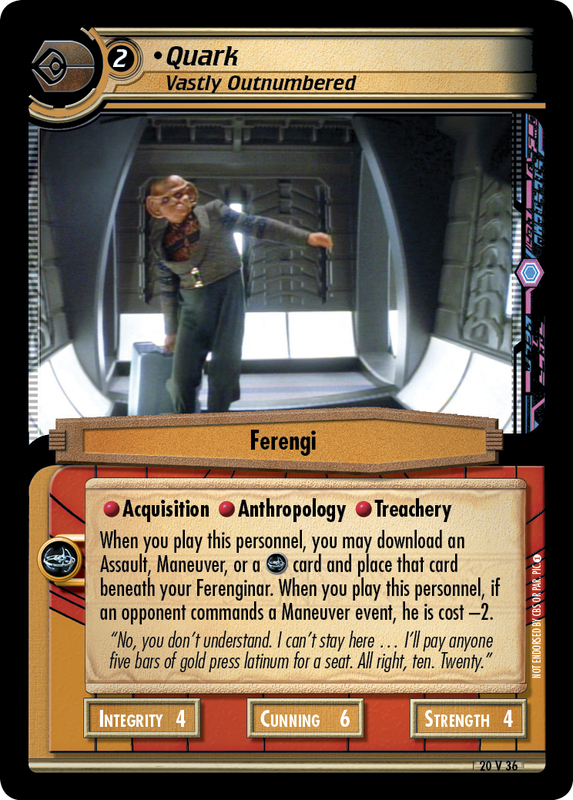 All right, ten. 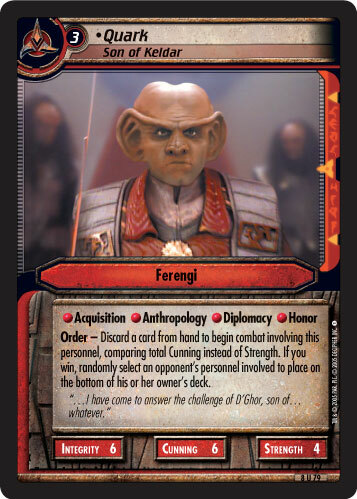 Twenty."